Tenacity, innovation and growth characterized the Las Vegas Valley in 2017. Already world famous for entertainment, other sectors also garnished interest. Las Vegas based Switch, a leading technology infrastructure company, had the second largest initial public offering within the technology sector in 2017. Virgin Hyperloop, formerly Hyperloop One, has been having successes at its test track in North Las Vegas, sending a magnetically levitated pod to 240 miles per hour. A 152,000 square feet office building now rises near the 215 and Buffalo and will serve as the new headquarters of Credit One, a large credit card issuer. Technology, however, is also fraught with challenges and Faraday Future, an electric car startup, scrapped its plans for a factory in North Las Vegas’ Apex Industrial Park. 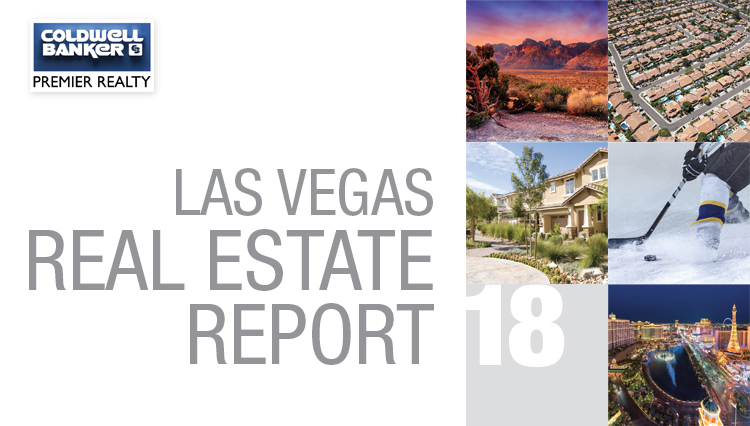 Having been asymmetrically impacted by the last recession, Las Vegas has climbed back into growth, reflecting the resilience of its residents. Clark County population is now estimated to be nearly 2.25 Million. Although far from boom levels, Las Vegas is seeing construction in multifamily, Class A office and large industrial properties. Resorts World Las Vegas is moving forward on its 3,000 room Las Vegas Strip project and 243,000 square feet of convention space was added to the market in 2017. Another 592,000 square feet is anticipated to be added in 2018, along with 1,537 new rooms, much of it within the Palace Station expansion. Ultimately, we expect some movement on the site that Wynn Resorts recently purchased and anticipate news on the former Fontainebleau site, which traded hands in 2017. While we see the emergence of consumer, finance and technology companies in the region, growth continues within the Leisure and Hospitality sector. We have long viewed Las Vegas as a global city, attracting new residents and visitors from around the world. 2017 amplified that view, particularly with Las Vegas’ new role as a major market for professional sports franchises. The Raiders acquired land for their planned stadium near I-15 and Russell, a milestone for Las Vegas, which despite being a large metropolitan area, has never had an NFL team. Las Vegas will also be home to the WNBA team Las Vegas Aces and the professional soccer team, Las Vegas Lights. In some of the biggest entertainment news of the year, The Las Vegas Golden Knights Inaugural season proved the market exists for professional sports in Las Vegas. Many residents of Las Vegas didn’t even know they were hockey fans until this year and the community’s embrace of the franchise was spectacular. It didn’t hurt that the team played extremely well for a first season team.